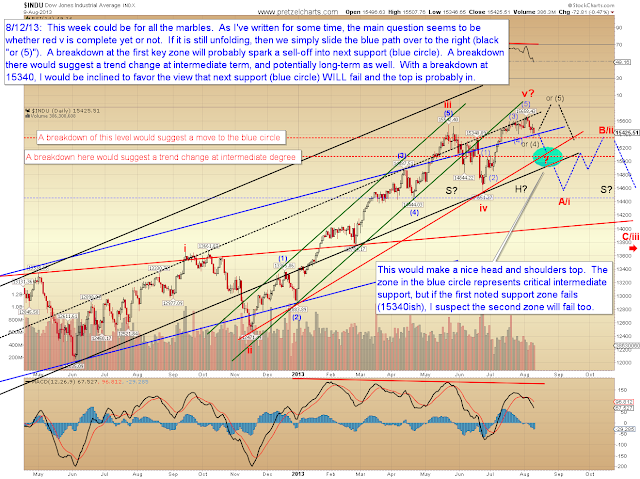 Pretzel Logic's Market Charts and Analysis: No Title for You! One Year! No Title for You! One Year! I spent some time studying charts this weekend, but ultimately there's really very little to add from last update, since the market remained within the noise zone on Friday. So I've created a chart which will hopefully help readers better understand the big picture outlook. The chart annotations pretty well explain my thinking at this point. 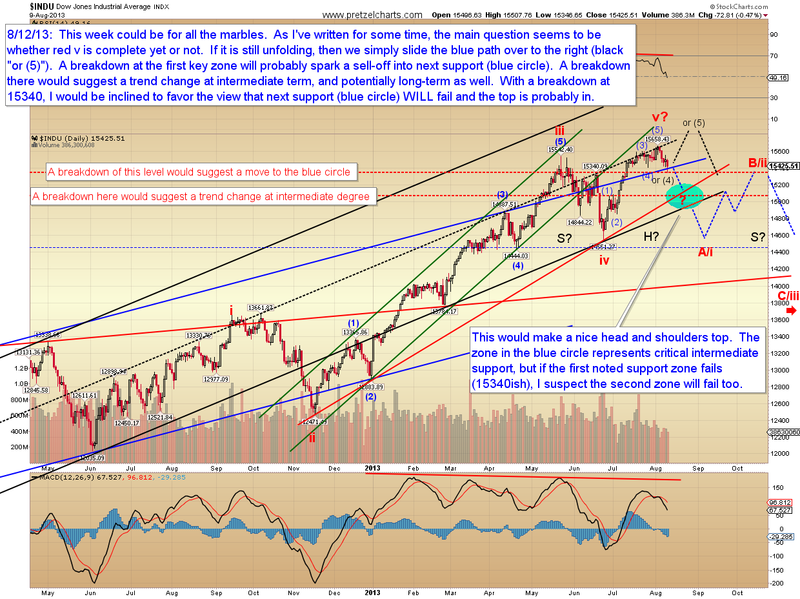 I've used the INDU for illustration, but SPX would be expected to follow a similar path. 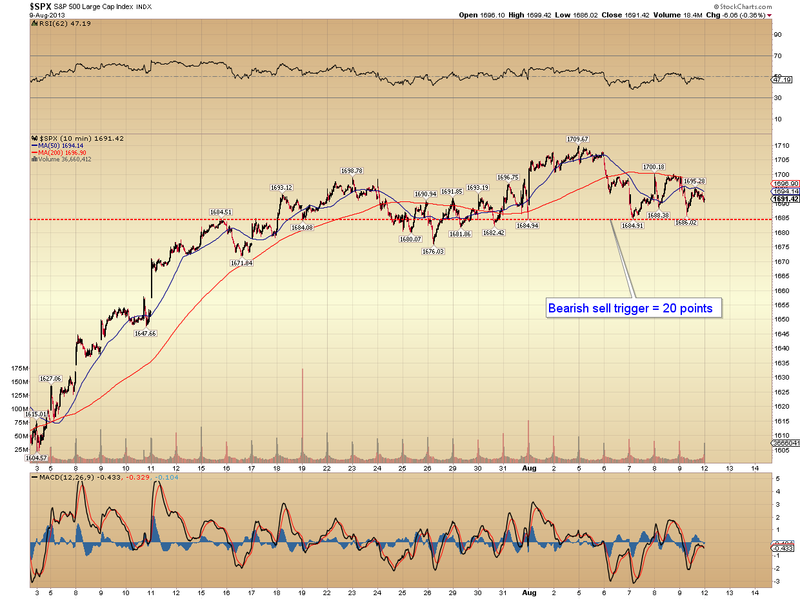 On SPX, there's been no change, and we're still watching to see if the pending bearish sell trigger is tripped. Despite the fact that ES is about 6 points in the red right now, I wouldn't be surprised to see SPX rally back toward 1700 at the open. If it instead heads down directly from here, watch for a solid sell off. In conclusion, we're still in the noise zone, so there's been no change from last update, and I still feel a breakdown here would likely suggest the beginning of a much larger correction. Trade safe.